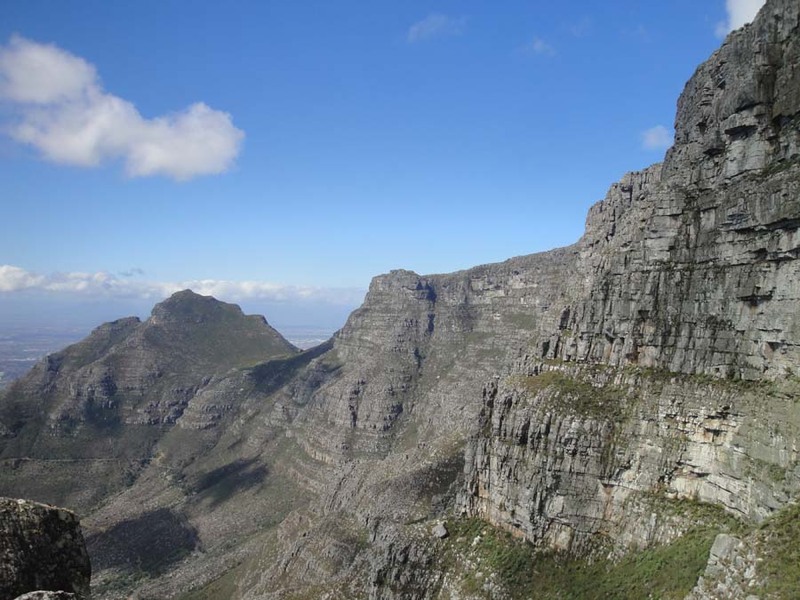 Table Mountain has something for everyone. 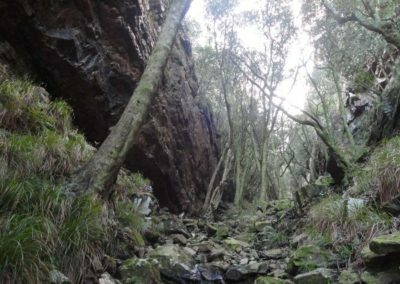 Whether you want a straight-forward walk up or a demanding route with scrambling/bouldering – or something in between – then there is a hiking trail for you. 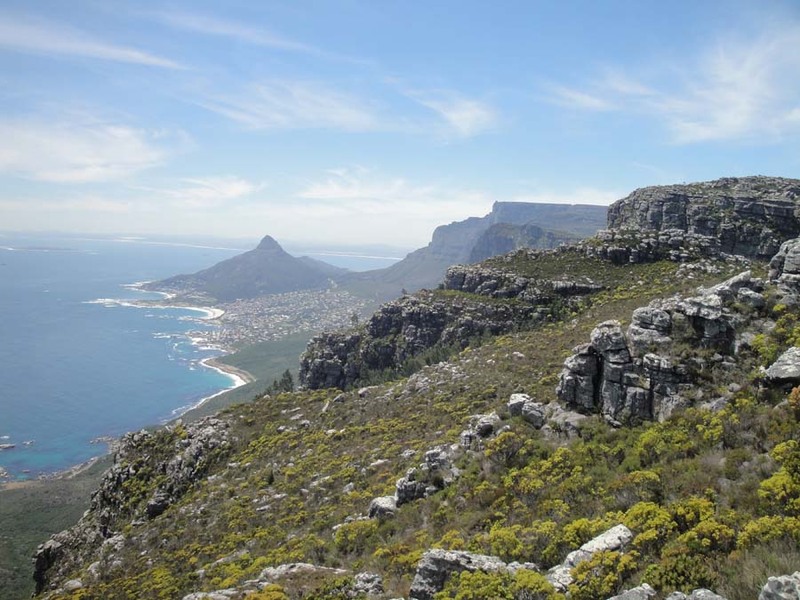 The views begin before you even start hiking and every route is crammed with fascinating flora and history. 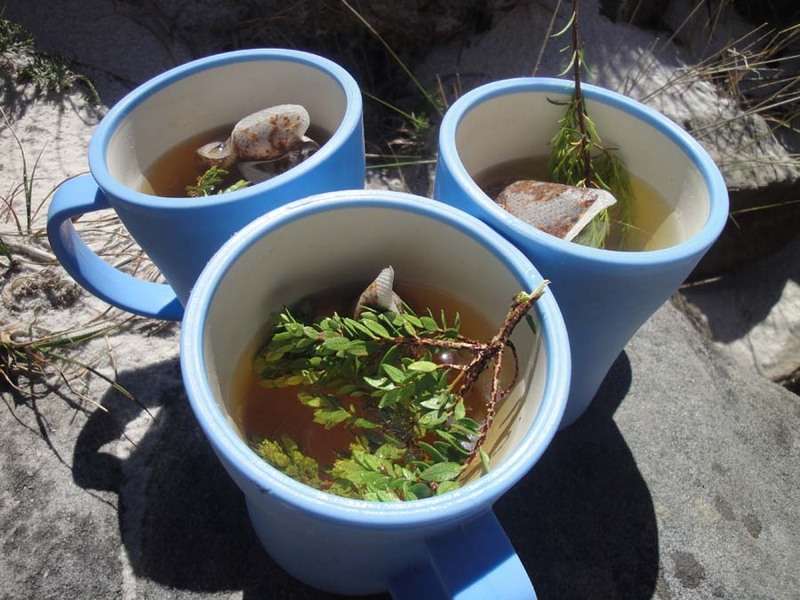 Is it Half-day or Full-day Hiking? 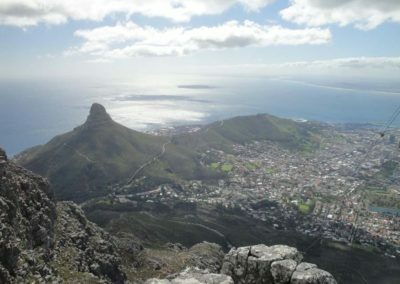 You can choose between half-day and full-day Table Mountain hiking; there’s even an overnight Table Mountain hike. 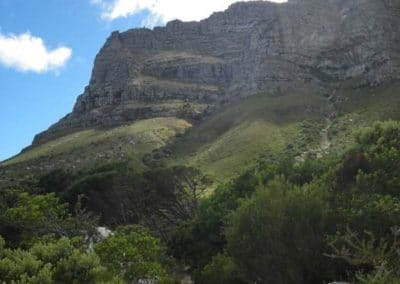 Half-day hikes are normally in the morning and finish at lunchtime but an afternoon Table Mountain hike is perfectly feasible. Full-day hikes end at around 5pm. Of course, though the cable car descent does limit the number of hikes available. Many of Table Mountain’s hiking trails are far from the cable car and require a walk down. 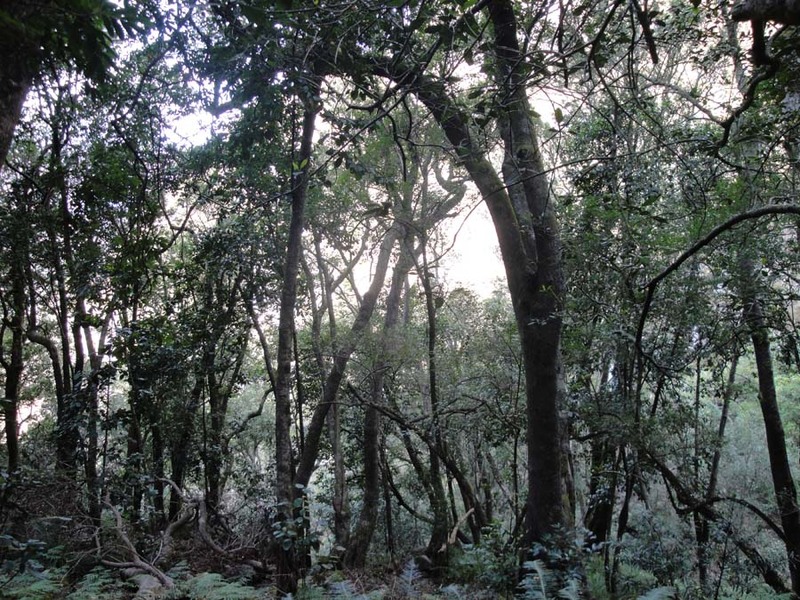 (I always choose the easiest descent possible.) 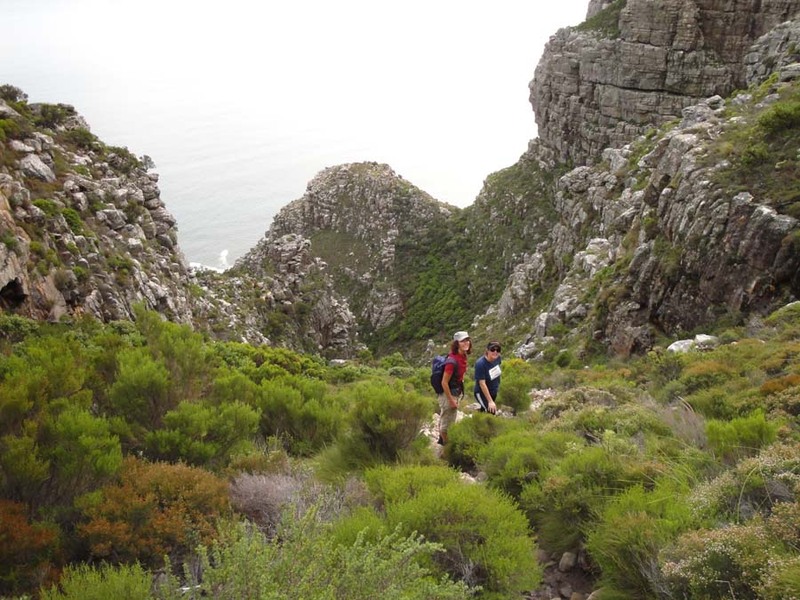 That said, two of Table Mountain’s best hikes – Platteklip Gorge and India Venster – are perfect half-day hikes with a cable car descent. 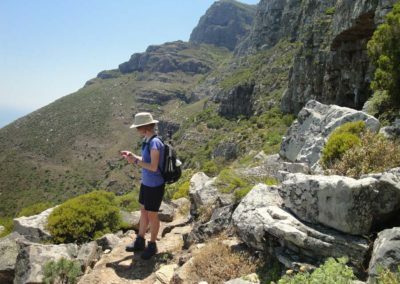 Table Mountain’s ever-changing weather requires hikers to bring a sunhat, sun block and at least a litre of water (at least two litres in summer) as well as something warm and windproof to wear. 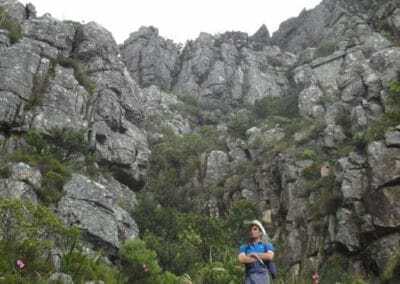 Winter season hikers should have rain jackets as well. 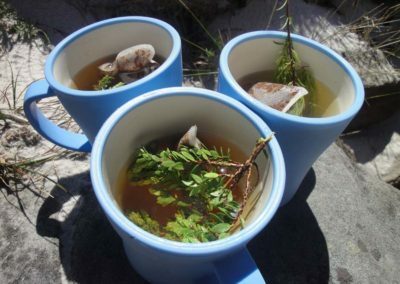 Footwear must be comfortable and have good grip. 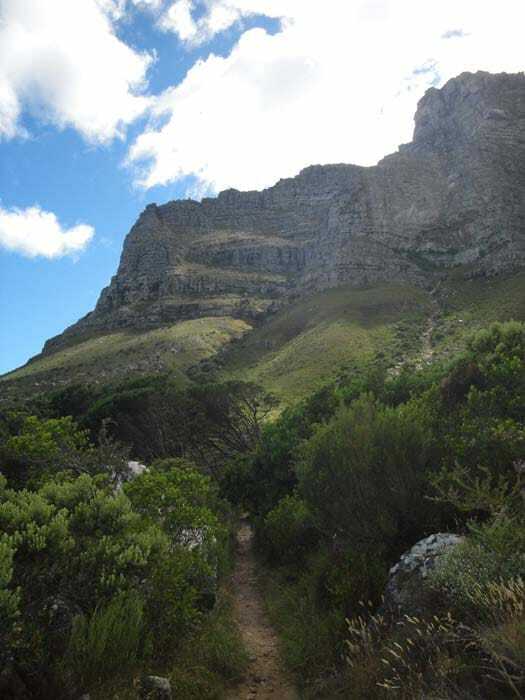 Hiking boots are great but not entirely necessary; trail running shoes or good quality sports shoes are fine as well, especially for half-day hikes. 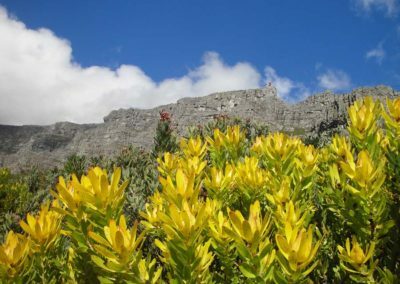 When is the Best Time to Hike Table Mountain? Blessed with a temperate Mediterranean climate, Table Mountain is a year-round hiking destination but there are distinct seasons: the driest and sunniest conditions are during summer and early autumn – November to April; the windiest weather is from December to March; the coolest and wettest time is June to August. The peak flowering months for fynbos are between August and December though there are always plenty of flowers in bloom all year round. 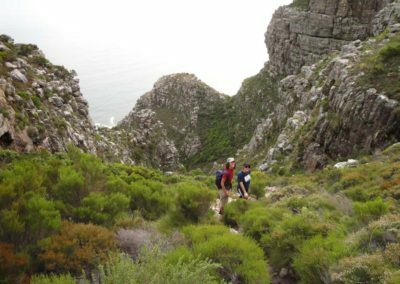 Is Table Mountain Hiking Safe? 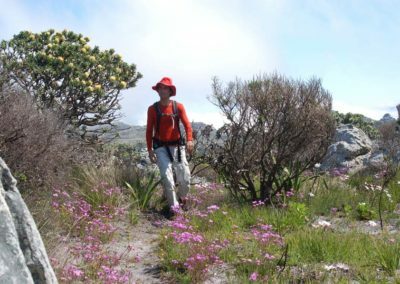 In terms of mountain safety, it’s about as safe as it can be. 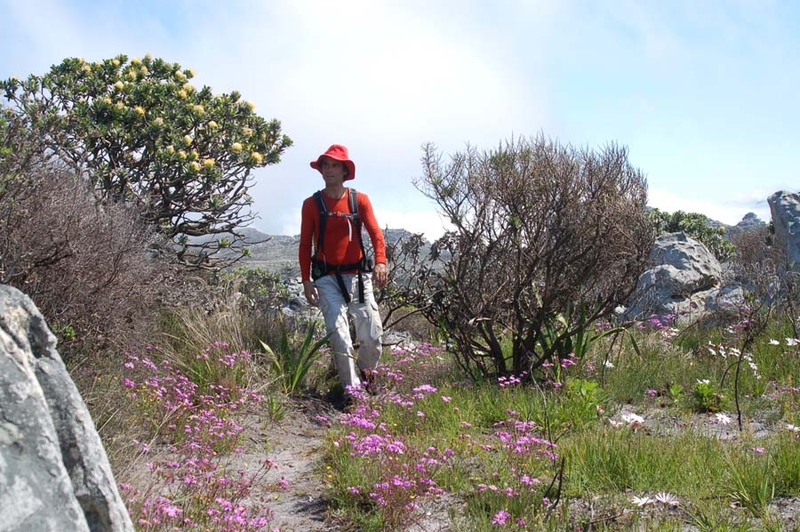 The trails are well-maintained with good markers in strategic places. 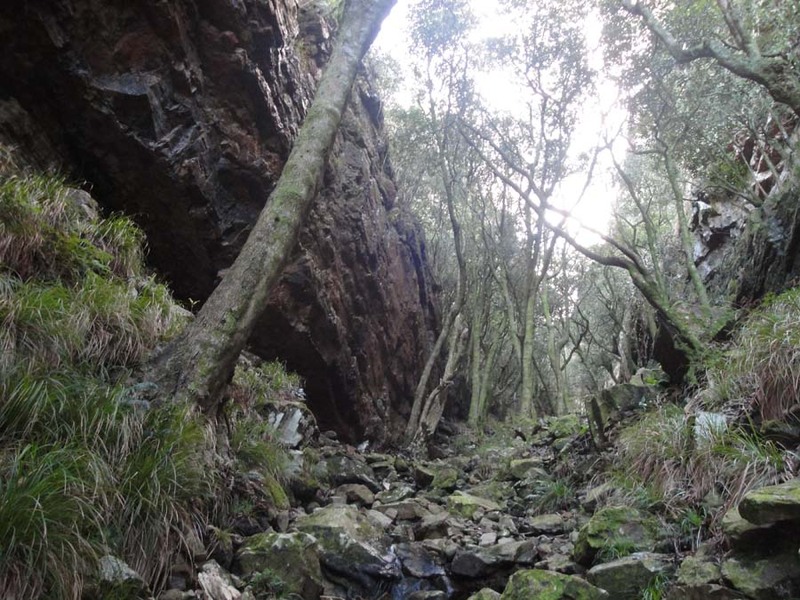 Difficult sections of the more popular trails have metal chains and staples bolted into the rock to make them easier. 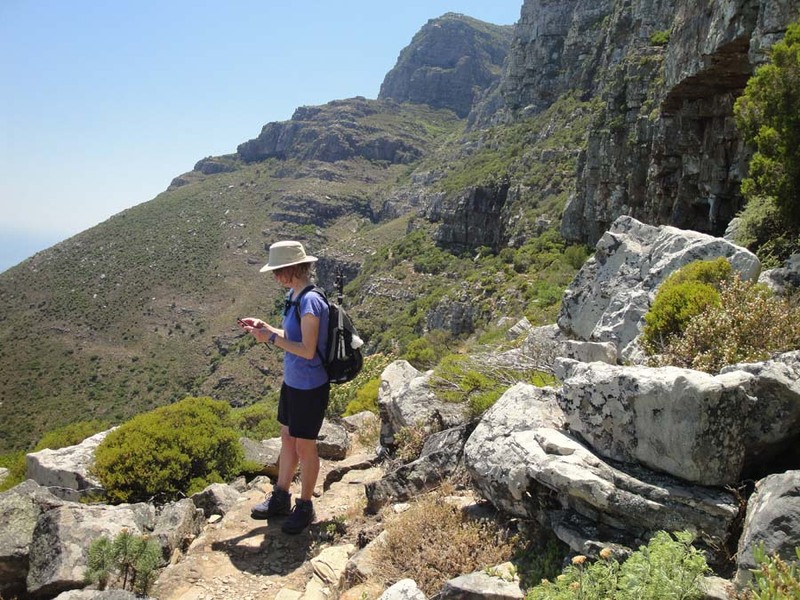 If you are with a Table Mountain guide, there’s no chance of getting lost either. 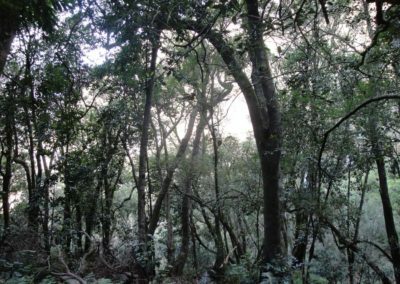 There is criminal activity from time to time but it is important to stress that nearly all these incidents happen on certain lower areas of the mountain with easy access to the city. Personally, I stay away from these areas. Security is much improved: there are foot and vehicle patrols, and fewer crimes are now being reported. 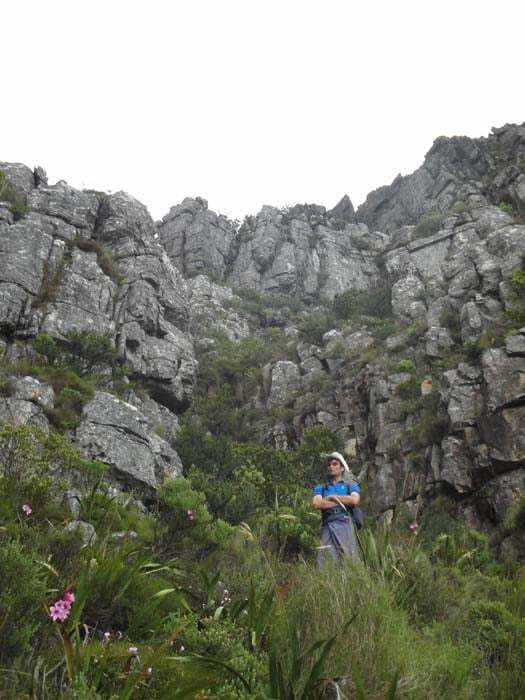 Away from the urbanised parts of the mountain, crime is virtually unheard of.